Francis X. (Frank) Fallert passed away peacefully on March 20, 2019 at the age of 91. Dear father, grandfather, uncle, and friend, he was born on November 19, 1927 in Zell, MO, the son of Feliz A. and Mary T. (Naeger) Fallert. Following service in the Navy, Frank graduated from St. Louis University in January 1951 and was married on June 30, 1951 to Sarah Dunaway. 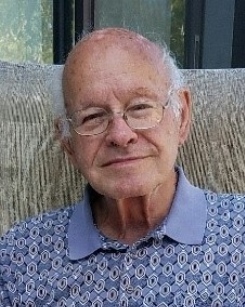 He began his career with Monsanto as an accountant and retired 35 years later as a computer systems analyst, having been introduced to the world of computers when Monsanto acquired one of the very first IBM computers installments in their Accounting Department. After retiring in 1986, he and his wife, Sarah moved to Sanibel. Frank became an active volunteer at the J.N. "Ding" Darling National Wildlife Refuge and was very proud to reach 30 years of service in 2016. He was a member of the Board of Directors of the "Ding" Darling Wildlife Society from 1994 to 2003 serving as Membership Chairman. In Addition to the volunteering at the refuge, he was active at St. Isabel Church serving as a Eucharistic Minister. son , John of St. Louis; and many nieces and nephews. He was predeceased by his beloved wife, Sarah, his oldest son Michael, and his seven brothers and sisters: Rev. Edwin , Hilda Kertz, Martin, Raymond, Florence Baechle, Loretta Palmer and Leonard. A Memorial Mass is planned at St. Isabel Catholic Church in Sanibel on April 12, 2019 with burial at Resurrection Cemetery in St. Louis at a later date.